We are giving away more this year than we ever have with an Invited Builder Bike & The 47 Knucklehead Chopper, so why not a Harley motor too? That's right.. we are also adding a Pan motor to the giveaway list! It's a fully rebuilt, highly detailed 1952 Panhead motor with California title and old Ca. black plate. We are giving this motor away at the Born-Free/ Loser Machine party at the Garage Company in Inglewood, Ca. on March 22th from 12 pm to 6pm.Flyer coming soon. 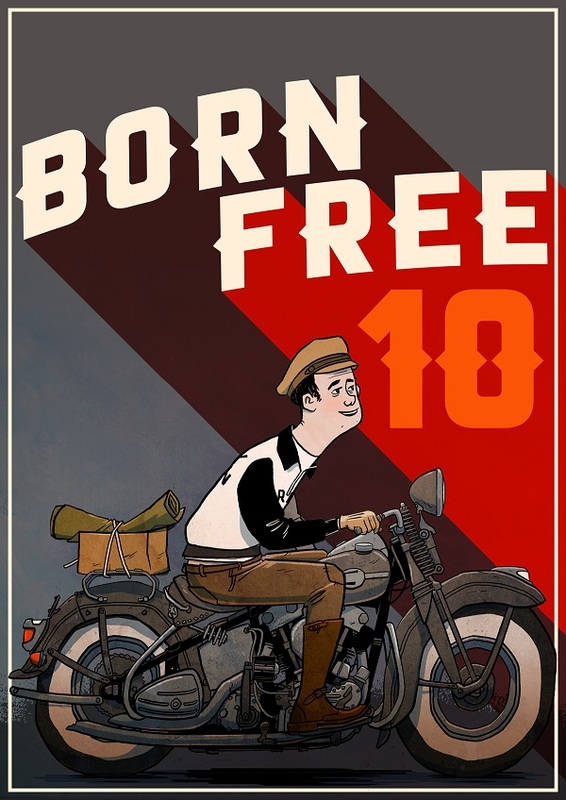 The way to enter is very simple....Buy (( 2 )) yes 2.. BF6 Giveaway Promo poster/w free ticket combo's and you are entered to win the motor @ the Garage Company party and the bikes at BF6. * You do not need to be present to win the motor! You do on the bikes!We will ship the motor to you if your number is called. If you have already bought (( 2 )) poster/ticket combos at the same time you are automatically entered. 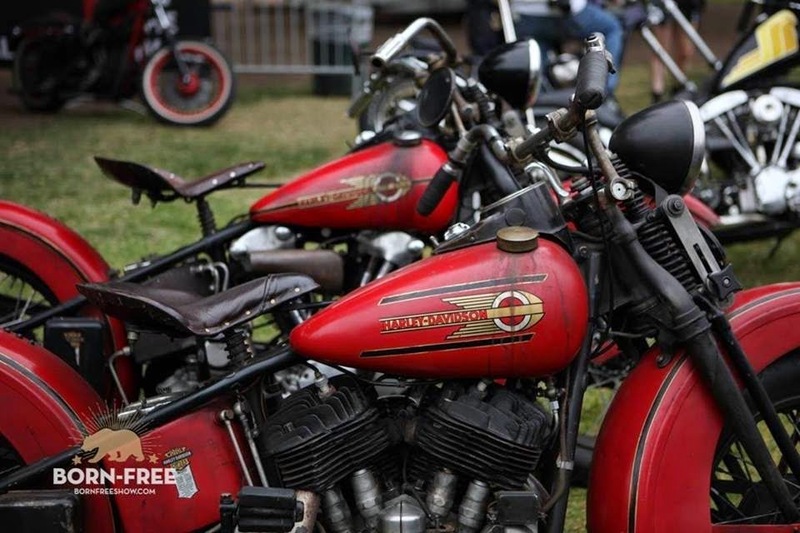 If you did not buy 2 in the same purchase you are not entered in the motor giveaway...just the bikes at Born-Free 6. 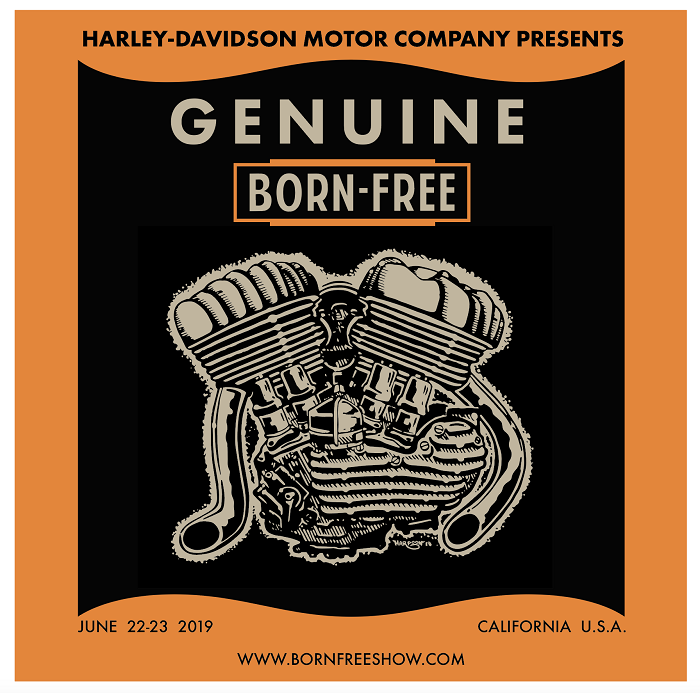 Either way, if you are or aren't the lucky winner of the motor at the Garage Party your tickets will be put right back in the hopper for the 2 giveaway bikes at Born-Free 6! You really can't lose!! Go to the Lowbrow Customs BF page and buy 2 posters/w free tickets now!! CLICK HERE! **Oh by the way you also get the BF6 Builder Trading Cards with purchase too. So what are you waiting for?